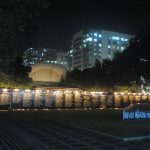 MANILA, Philippines – Nineteen men and women who fought against the martial law regime are set to be honored and recognized as heroes for their work defending human rights during the Marcos dictatorship. 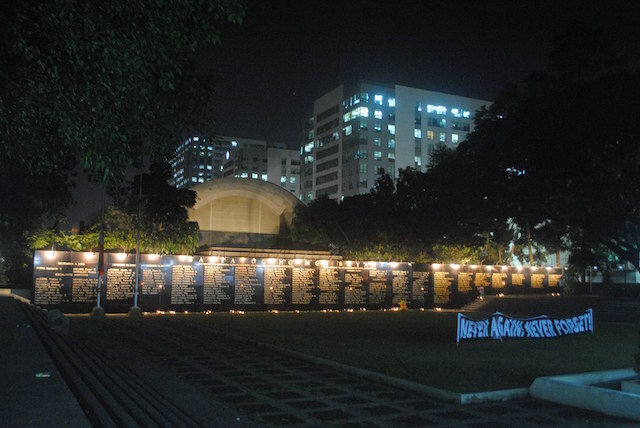 Among the 19 new honorees of the Bantayog ng mga Bayani foundation is the late Jovito Salonga, founding chair of the organization established in 1986, which has named more than 270 martyrs and heroes who have dedicated their lives to the cause. Education Secretary Leonor Briones will be the guest of honor and speaker at the ceremonies, to be held on Wednesday, November 30, at the Bantayog ng mga Bayani grounds in Quezon City. For the Wednesday occasion, the Bantayog Museum will also be displaying a portion of the door of Kalinga tribal chieftain Macli-ing Dulag’s house. In 1980, Dulag was gunned down by government troops for opposing a Chico Dam project under the government of the late dictator Ferdinand Marcos. The door to his house still bears marks of the bullets from the murder.